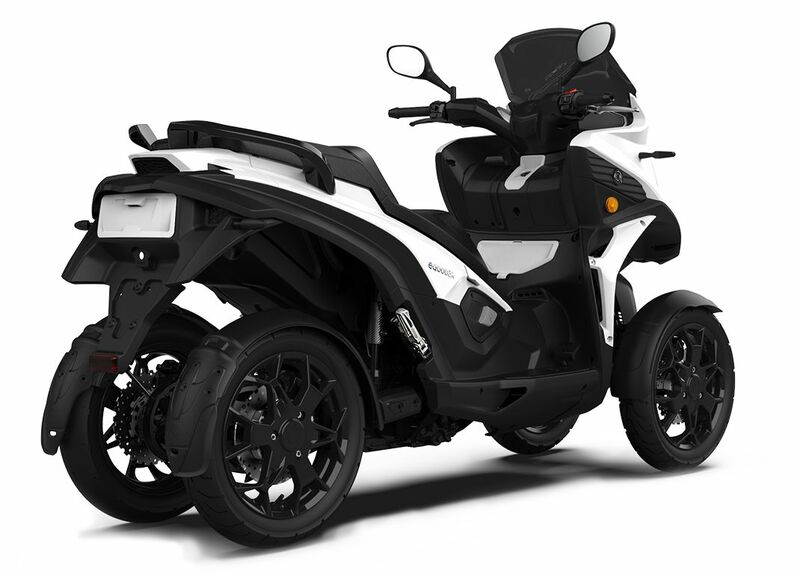 The Swiss company Quadro Vechicle introduced the electric version of its popular four-wheel bike Qooder at the Geneva Motor Show. eQooder, created in partnership with Zero Motorcycles , blurs the line between a car and an electric motorcycle. 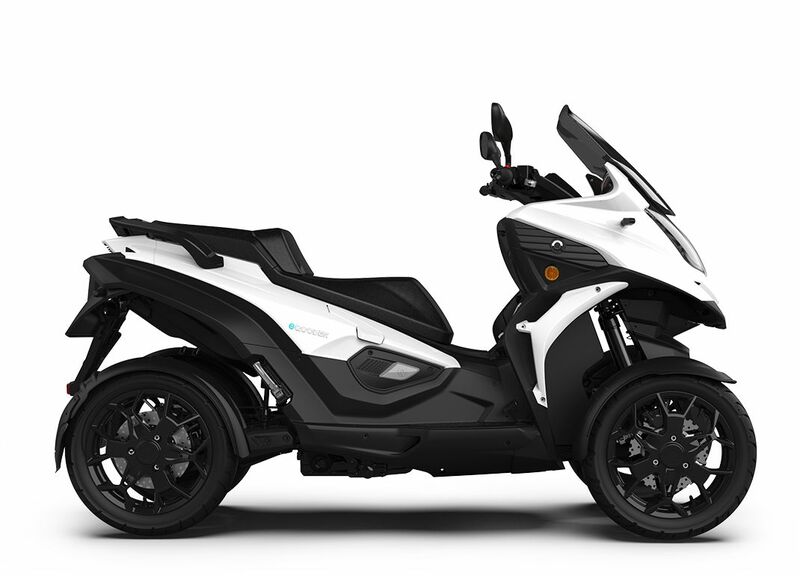 Zero Motorcycles supplied the Z-Force 75-7 electric motor to the four-wheeled vehicle, which until recently (until the Z-Force “75-10”) was the most powerful in the line of the Californian electric bike manufacturer. With the new motor, the eQooder has 60 horsepower. (45 kW) and 110 Nm of torque. The performance of the eQooder electric motor is comparable to a 650-cc internal combustion engine and the torque is three times more than the Qooder with an 400-cc internal combustion engine. eQooder is the first and only vehicle in the world with four tilting wheels and zero emissions. Perfect road holding and high levels of safety in a green solution. 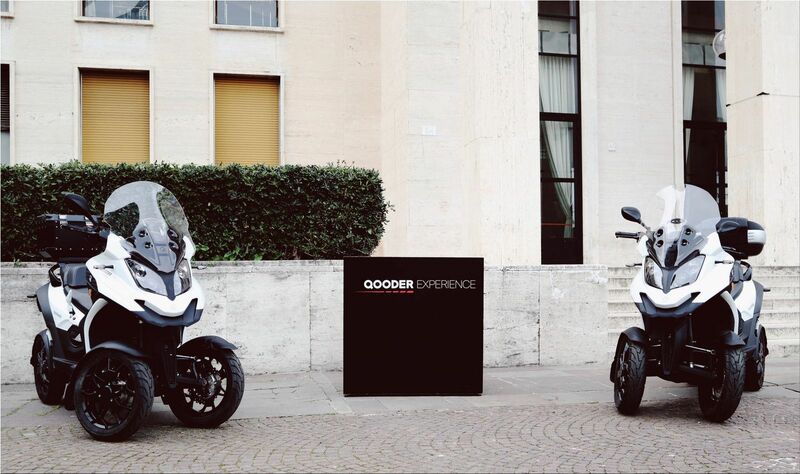 Zero Motorcycles also equipped the eQooder with a modular battery of 10.8 kWh, which is fully charged in 6 hours. Quadro promises that its full charge will be enough for a 105 km trip. Cumulative autonomy will go beyond 150 km. The eQooder has two standard driving modes, Eco and Sport, and the third is manually configured via a smartphone application developed by EVWAY. With this application, the driver will be able to optimize the route relative to the nearest charging station. In order to improve maneuvering, the eQooder is equipped with a reverse gear for going back, and the motor is connected to a mechanical differential like a conventional four-wheeled vehicle, which ensures the softness of the rear-wheel drive, but unlike a car, the eQooder enters into turns just like a motorcycle or scooter. EQooder will go on sale in the European market in December 2019. 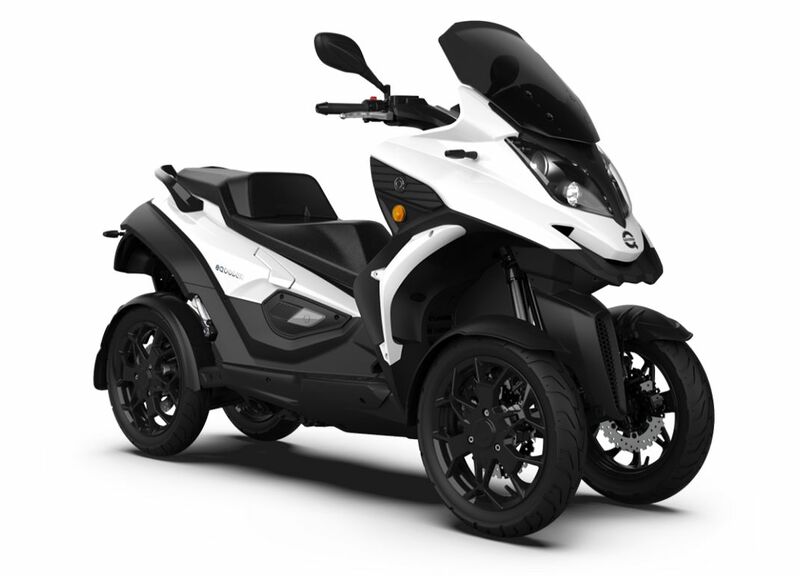 You can make a pre-order with a deposit of 5,000 euros on the Quadro Vechicles website (quadrovehicles.com) now, although the final retail price of a four-wheeled motorcycle has not yet been announced.